Bicycle-loving San Diego is more than an idea now – it’s a statistic. In a League of American Bicyclists report released this week, San Diego consistently ranks amongst the top American cities for bicycle commuters and ridership. San Diego County Bicycle Coalition, an organization that advocates for and protects the rights of all people who ride bicycles, has spearheaded the movement to create a strong bicycling culture in San Diego County. In the report, Where we ride: An Analysis of bicycling in American cities, the League of American Bicyclists looks at bicycle commuting trends and specific analyses throughout national cities. 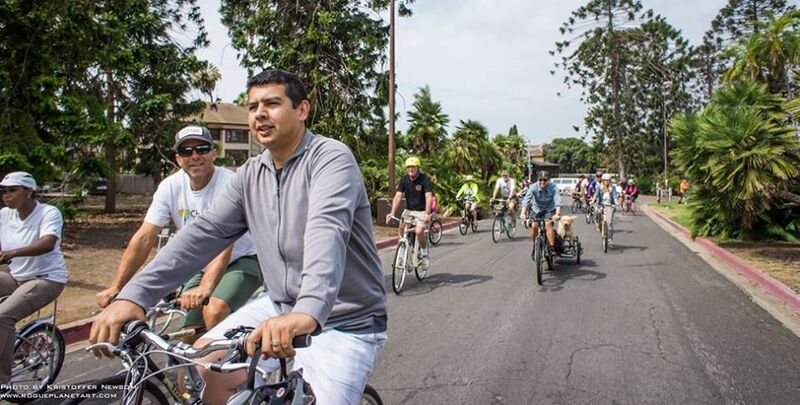 While the Bicycle Coalition is one of San Diego’s strongest advocates for livable communities, there is a full network of activists, local organizations and individuals who work to grow these bicycle communities and continue the forward momentum. To read the full report by American League of Cyclists, click here. For more information on the Bicycle Coalition’s upcoming Holiday Joy Ride and Golden Gear Awards, highlighting two-wheeled heroes and achievements of 2013, visit www.sdcbc.org. SAN DIEGO COUNTY BICYCLE COALITION: (SDCBC) is a nonprofit organization that advocates for and protects the rights of all people who ride bicycles. They promote bicycling as a mainstream, safe and enjoyable form of transportation and recreation. For more information, go to www.sdcbc.org. I hope this information truly indicates an upward trend in cycling in San Diego. My anecdotal experiences would say the same and I’m glad to see national reports do as well. Plus the City Council just passed a grand master plan for bicycling the other day (don’t have a link at the moment).